A fun stay in Georgia at the Freedom Hostel in Batumi, followed by an exciting journey over a high pass on dubious roads. 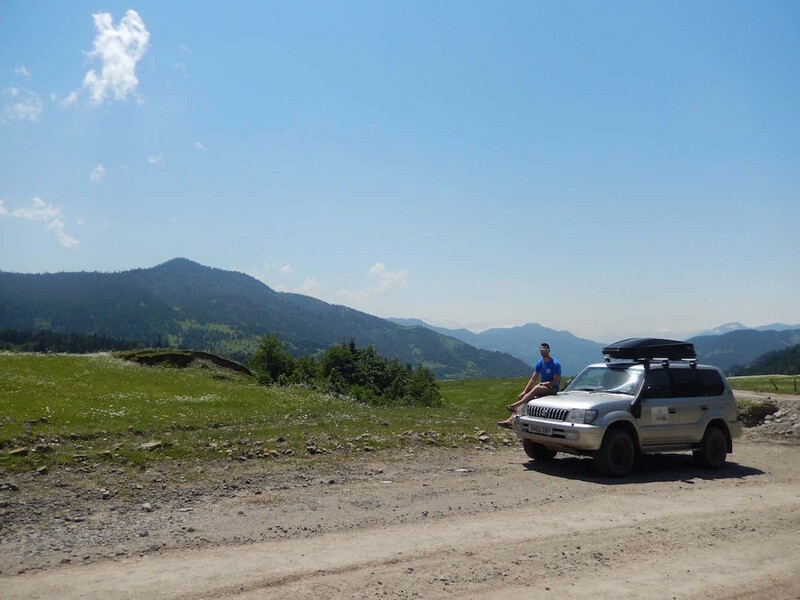 We had a great traditional Georgian meal with some new friends in Batumi, found some cows in the high mountain roads, and had our first river crossing in the Land Cruiser (well, the tyres got wet anyway). Our map said this was a main road!